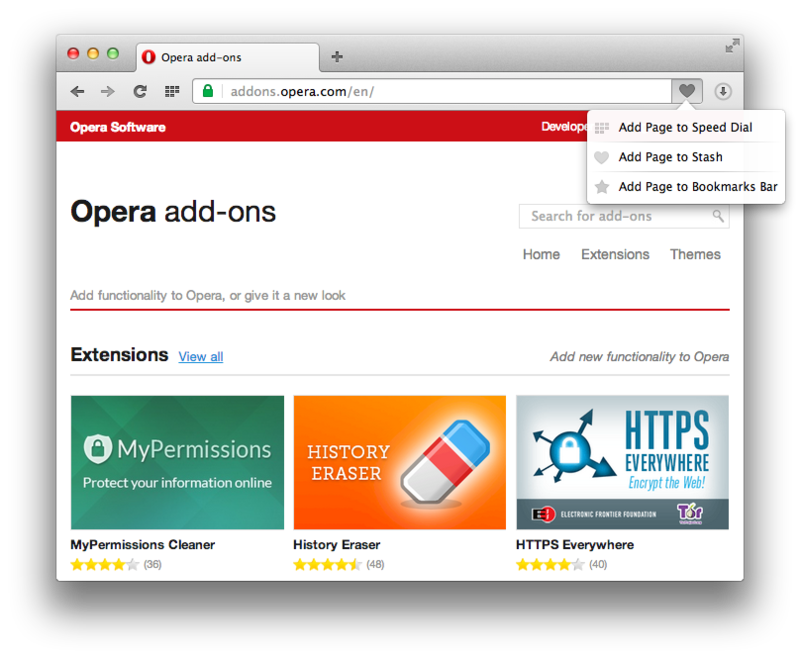 Opera Next is now 23! So today, we’re releasing Opera 23 Next. The biggest UI change is that we have tidied the combined search and address bar to contain just a single heart. The heart now triggers a sub-menu where you can choose to add a site to Speed Dial, to Stash for later use, or to the bookmarks bar. We have also added UI elements to unblock insecure content in an otherwise secure session, and we’ve added search functionality to opera:extensions and opera:themes. Now that the elves are back at their desks, expect something very interesting next week.